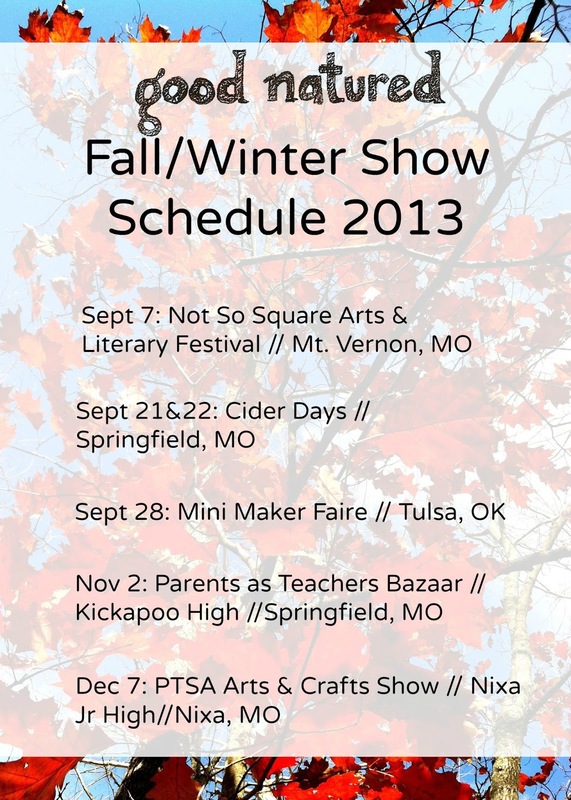 Good Natured: Fall & Winter Craft Shows!! These are the shows that I am currently planning on attending and where YOU can get your wooly, good natured fix! You might remember me talking about the show I did in Kansas City, and how that was the farthest from home I've been to sell my wares? As you can see, I'm branching out to Oklahoma next--watch out, Tulsa! I'm also considering applying for the Indie Emporium in Tulsa. It's a two-day December show, and I'm trying to figure out if it's worth it with the travel and hotel costs. Have you been or know anyone who has? I'd love to get some feedback about it. I'm off to make a zombie chicken assembly line to stock up for these shows. Will I see you at any of them?